Inspired by classic mid-century designs, Dunbar offers a refreshingly soft modern look. 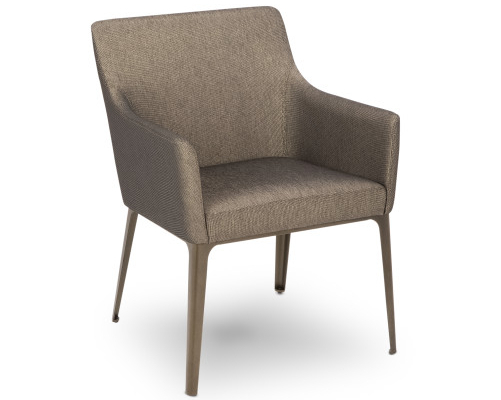 A single sinuous seam outlines the fluid upholstery, creating a unified design statement. The distinctive laser-cut steel base also contributes to the theme, giving Dunbar a sleekly contemporary and athletic stance. Dunbar offers exceptional comfort, and will easily coordinate with any of our popular dining tables to complement any interior design scheme. Available in assorted fabrics, leathers, and metal finishes.